The second league race of the Cross Country season was another great success; the Men’s A Team (first 6 score) claimed the top spot for the race and secured first place in the division and the Women’s Team finishing in third place (first four score), with another impressive win from Nicola Sykes. 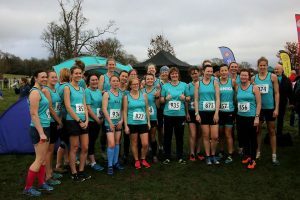 It was a fantastic club occasion as both Men’s and Women’s teams raced the challenging course at Welcombe Hills, Stratford-upon-Avon and were therefore able to cheer each other on. Both teams were yet again well represented; there were some excellent debut performances and the hard work in training is paying off with encouraging results throughout both squads; the Men’s B Team also finished a close second in their race securing second place in the series. The next XC League Race is on 12th January at Burton Dassett Hills, Warwickshire, where again the two squads will race together. 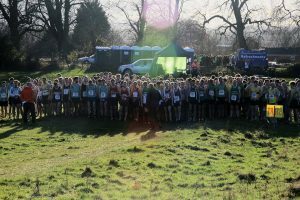 Click Here for more information about all the Cross Country Races and to find out how to take part.